Created by Universal Everything and presented by Within, Emergence is not your typical VR experience. In the experience (which is a companion piece to the museum exhibition Fluid Bodies at the Borusan Contemporary in Istanbul) you hover above as thousands of intelligent little people run to and fro. What looks like chaos is actually quite organized, as you can see below in the exclusive trailer. Showing 5000+ intelligent human behaviours, Emergence expresses the primal desire to maintain your individual identity whilst being part of a crowd. 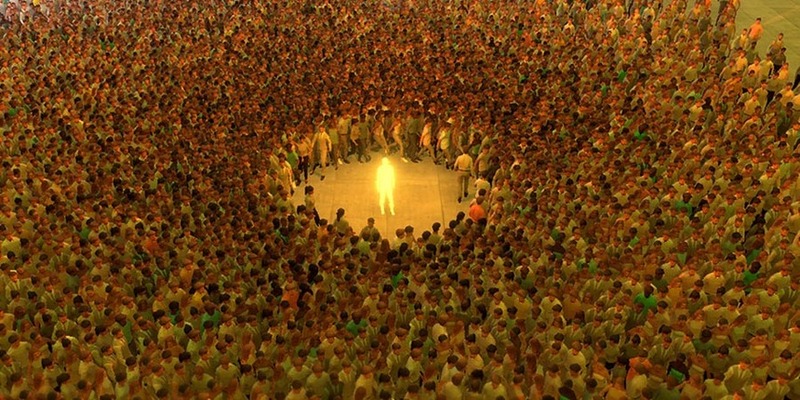 As you immerse yourself in a crowd of thousands, shafts of light beckon you closer. When you touch the light, the environment - its atmosphere, its gravity and the choreography of the crowd - transform in powerful ways, continually challenging your perception. Emergence makes its world premiere at Sundance and marks the 12th project that Within founders Chris Milk and Aaron Koblin have had at New Frontier. How's that for pioneers?